Maldives Airports Company Limited (MACL) is a 100% government owned limited liability company incorporated under the Companies Act of the Republic of Maldives. MACL is governed by a Board of Directors appointed by the President of the Maldives. The Corporate Office of MACL is on the island of Hulhule', Republic of Maldives. The establishment of MACL came through various government departments which had been responsible in the past for the operation of Hulhle' Airport. Hulhule Airport was opened on 12 April 1966 and government created Airport Office to manage Hulhule Airport. Since then Hulhule Airport has undergone various development phases and Male’ International Airport (MIA) was opened as the first international airport on 11th November 1981 with the provision of essential services and airport office was replaced by Maldives Airports Authority. On 10 November 1982, Civil Aviation Authority (CAA) was established by merging Maldives Airports Authority and Department of Civil Aviation to provide aviation services to ICAO accepted level. On 12th December 1988 government dissolved CAA and formed Maldives Airports Authority (MAA) and Department of Civil Aviation (DCA). With rapid growth of MIAL, the need for a commercial entity to manage the airport was recognized, thus on 1 January 1994 the government detached MAA establishment as a separate commercial entity rather than part of the government administration and subsequently MAA was incorporated into Maldives Airports Company Limited as a limited liability company effective on 1 August 2000. 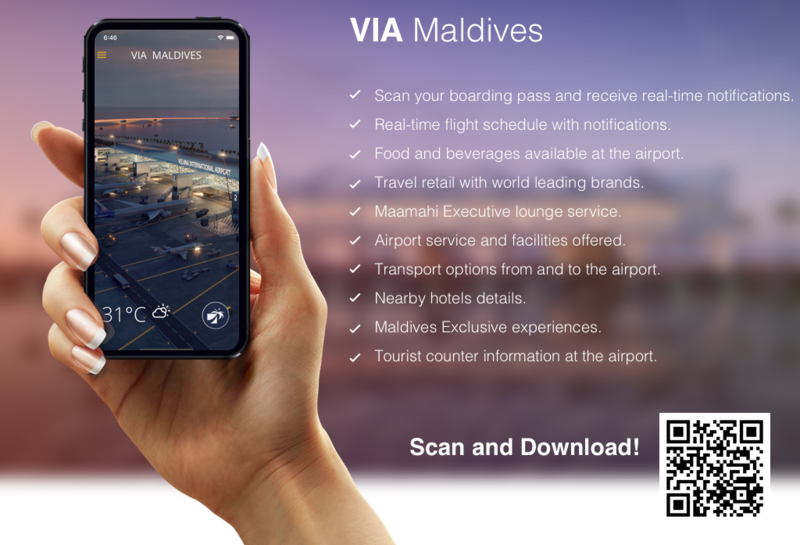 To establish an inflight catering service at MIA, a joint venture was formed with Singapore Airport Terminal Services (SATS) resulting in the formation of Maldives Inflight Catering Pvt. Ltd. (MIC) was formed on 2nd April 1988, with MACL holding major shares. MIC is incorporated and domiciled in Maldives as a private limited liability company. The principal activities of MIC are operating a flight kitchen and a transit hotel in Hulhule’ Island known as Hulhule’ Island Hotel (HIH. Other than managing Velana International Airport operations, MACL has been providing aviation fuel services and airport firefighting and rescue services to all regional airports developed and owned by government of Maldives as well as Gan International Airport till 25th February 2011. MACL has also invested in other aviation related businesses and expanded its business in the past, namely Madivaru Holding Pvt Ltd, and Airports Investments Maldives Pvt Ltd (AIM) holding minority shares of both companies. MACL is also a partner in the recently incorporated joint venture company Gan International Airport Pvt Ltd in which MACL has an equal share with other partners, namely State Trading Organizations (STO) and Gan Airport Company Limited (GACL). Gan International Airport Pvt Ltd has been established to develop, manage and operate Gan International Airport. Providing world class Airport services, as Country’s Leading Gateway. • Contribute to National Development. • Apply Highest Standards of Safety and Security. • Render Excellent Customer Experience. • Empower and Develop our People. Customer Focus: Customer satisfaction is our top priority. Safety and Security: Ensure and deliver high standards of safety and Security. Teamwork: Working together with passion and dedication to achieve corporate objectives. Integrity: Integrity and accountability in everything we do. Respect: Respect people, culture and environment.